Children can use plastic Osmo Coding blocks to command a cute character on an iPad screen. 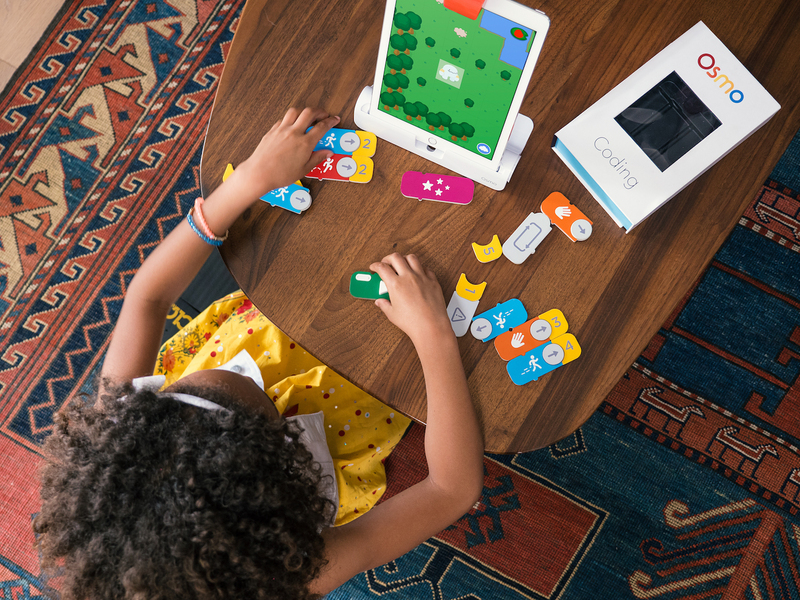 By placing Osmo’s new Coding bricks in front of an iPad, children write mini computer programs that steer an on-screen character through challenges. WSJ’s Wilson Rothman tries it out at home with his son. This entry was posted in Gadgets and tagged Osmo by tablettoddlers. Bookmark the permalink.